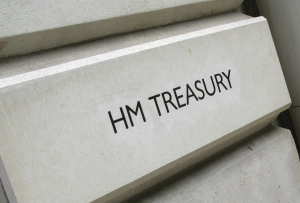 The Treasury has written to ministers in most government departments warning them that they will have to cut their annual budgets by a further 10%. It’s not really a surprise to anyone – Osborne mentioned further cuts in his Budget – but now we know the figure. The Chancellor wants to find another £11.5bn of savings by the time the next election comes around, and that means government departments are being asked to give their spending another 10% haircut for 2015/2016. Osborne also revealed in his Budget that economic growth forecast had been halved from 1.2% in 2013 to just 0.6%, so the cuts will not be very well offset by growth.The Chief Secretary to the Treasury, Danny Alexander, sent out letters to all the appropriate ministers yesterday telling them to prepare for an official announcement during the spending review on 26 June. Still, whatever you can make of the mandarin-style jargon, some may feel there are saving graces in the plans. The NHS, schools system and the international aid budget will retain the protections that currently apply to them. Defence spending however, will see its equipment budget rise by 1% above inflation, but all the other elements of its budget, which include everything from soldiers wages to buildings maintenance, will be cut by 5%.